We are delighted that you are considering using the Fairhaven Surf Life Saving Club as a venue for your wedding day. The Fairhaven Surf Life Saving Club is located on the sand dunes at the famous Fairhaven Surf Beach. 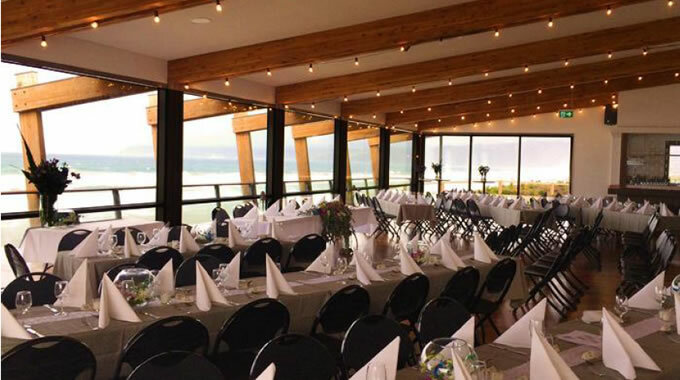 The new architecturally designed venue, boasts uninterrupted views from the Aireys Inlet Lighthouse to Lorne making it a unique and special setting for your reception. Our extensive Food and Beverage Packages and dedicated Events Coordinator will ensure your wedding reception is organised and executed with ease. The Fairhaven Surf Life Saving Club is available for private hire after the Easter weekend until the end of November. For more information about the venue and food packages, download the Function Information Package from the resources on the right.